EverQuest Next is a massively multiplayer online role-playing game and the successor to EverQuest II. EverQuest Next is officially no more, so what else is on the horizon? 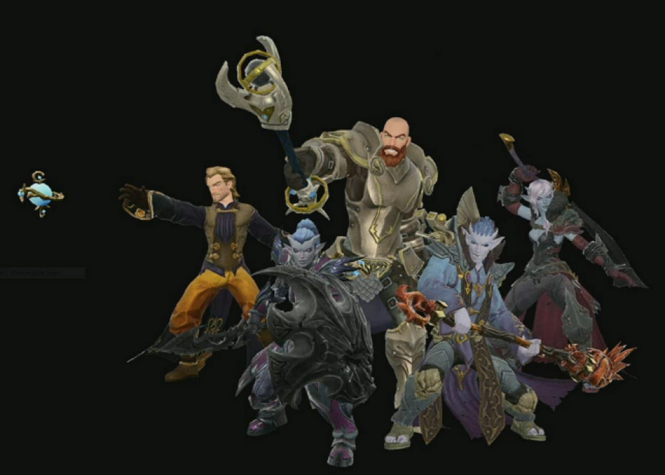 @Isarii looks at a few other PvE sandbox MMOs. With EQ:N Dead, What's the Next PvE Sandbox MMO? Pantheon seems very interesting. Need to follow that game devellopement! With Everquest: Next now officially cancelled, I think it’s worth resharing my thoughts from when I originally declared the title dead back in January. Even though it never got a chance to see the light of day, EQ:N still managed to be an influential MMO through sheer strength of ideas, and I hope those ideas live on to surpass their progenitor. Sad times for those who were looking forward to EverQuest Next. I was actually thinking about it the other day! Thats a real shame, It looked very interesting what they showed off. A sad day for fans of Norrath. There have been some highs and lows on this roller coaster for sure. Yeah. We will see what happens...only time will tell at this point. Daybreak revealed another of EverQuest Next's races in a recent episode of the Workshop! Long time I didn't read anything about EverquestNext. it was such a promising game. hope they can continue to develop it. Daybreak Games makes further cuts on EverQuest Next, turning their sights to the forums. Absolutely. That, and what Storybricks said in their farewell letter. The evidence is all there. I really really do hope that they get back on their feet and are able to shake themselves off at the end of this. Nope, I haven't heard anything yet. They haven't even said publicly that they were in the red. Personally, I'm thinking years of overspending. Paying wages and server upkeep left, right and center all adds up eventually. Even the little things. The Most Anticipated MMO of 2015: Everquest Next :D Yus! Looking forward to Next. Hopefully, they stop playing around with landmark and we see Next by fall. Yeah I'm surprised it made the most anticipated MMO of 2015 cause I figured it got put off to at least 2016. Here's hoping. Had a feeling this was going to happen...SOE Live was awesome once again but now we are playing the waiting game once more with no news. Next year can't come fast enough! I look at the bits of SOE Live that were relevant to my interests. The Acolytes are pumped for today's SOE Live EQN & Landmark streams! Haroo! Can't wait for Everquest Next! Only MMO that I'm actually interested in and waiting for haha. Been waiting for about four years now! Same :) I do try not to get hyped up about MMO's now, but EQN really does look promising. Yeah I'm just sticking to what I loved and that was the EQ franchise and the EQ community. I can't go back to EQ2 since it's changed so much over the years after it went F2P but I will call EQN my home.